This book contains everything you need to start face painting! 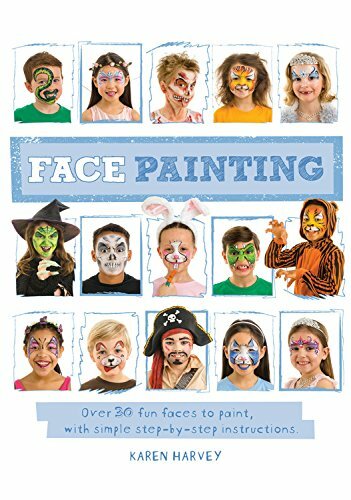 There's a huge variety of fun faces to choose from: go for a wild animal and paint a giraffe or tiger; a dainty Snow Queen or pretty Flower Garland; scare your friends with a terrifying Zombie or a nasty Witch. Clear, step-by-step photographic instructions mean that all the faces are easy to follow and try, plus there are tips and suggestions for ways to tweak the designs. All projects use a set colour palette and are carefully chosen to appeal to girls and boys alike. Readers of all abilities can get stuck in as each project is graded with a difficulty rating of 1 to 5. A 'techniques and materials' section outlines everything you need to start face painting, from paints, to different brushes and sponges. Tips and techniques are described so you can practise your painting skills before your begin. This book is sure to provide hours of fun! If you have any questions about this product by Quayside Publishing, contact us by completing and submitting the form below. If you are looking for a specif part number, please include it with your message.